A significant Lincoln discovery: A handwritten note to the Sec. 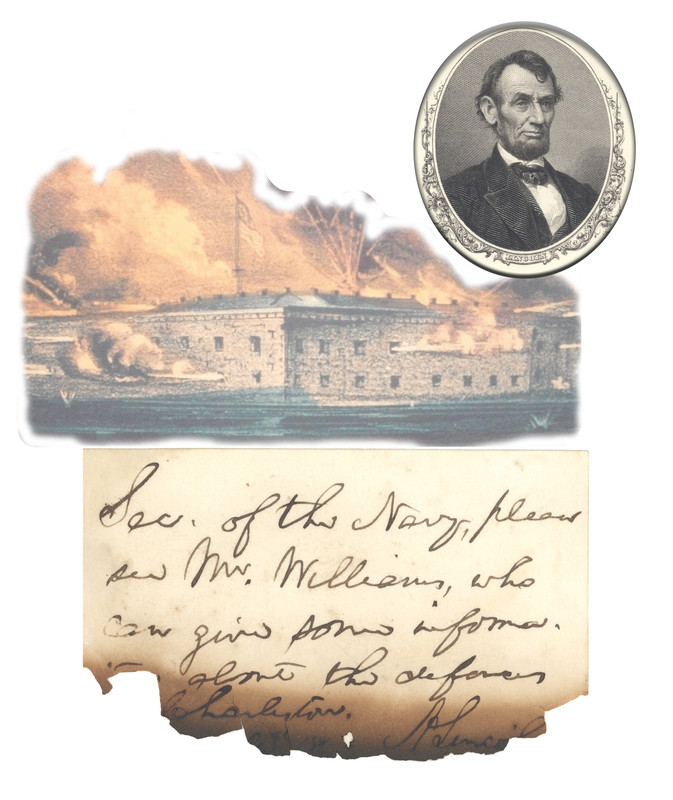 of the Navy about Union efforts to reinforce Fort Sumter just before the start of the Civil War! Abraham Lincoln. Handwritten note signed, "A. Lincoln," on a card 2" x 3 y;", [Washington, March¬April, 1861?] to the Secretary of the Navy Gideon Welles: "Sec. 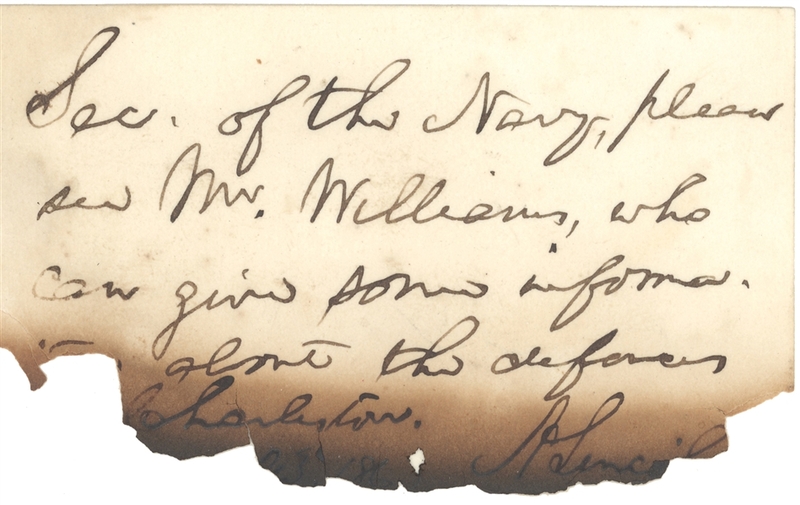 of the Navy, please see Mr. Williams, who can give some informa [tion] about the defenses [of] Charleston." Burned at the lower margin, costing several letters and darkening Lincoln's signature and the word "Charleston." This same note is described in the writings of Abraham Lincoln, in March of 1861?